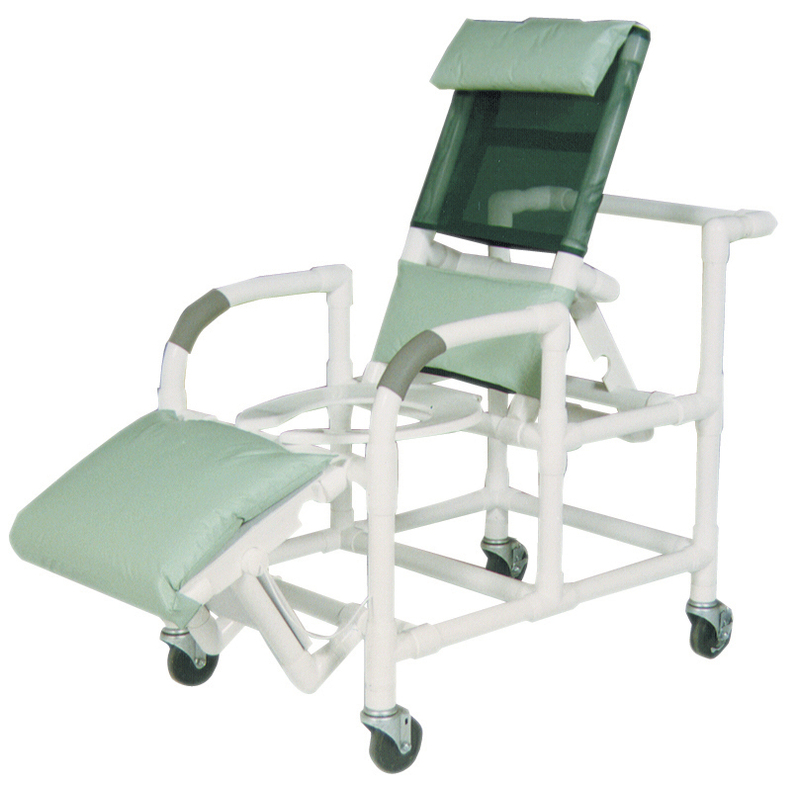 These PVC chairs allow patients to fully relax while showering. All have threaded stem casters for added durability. 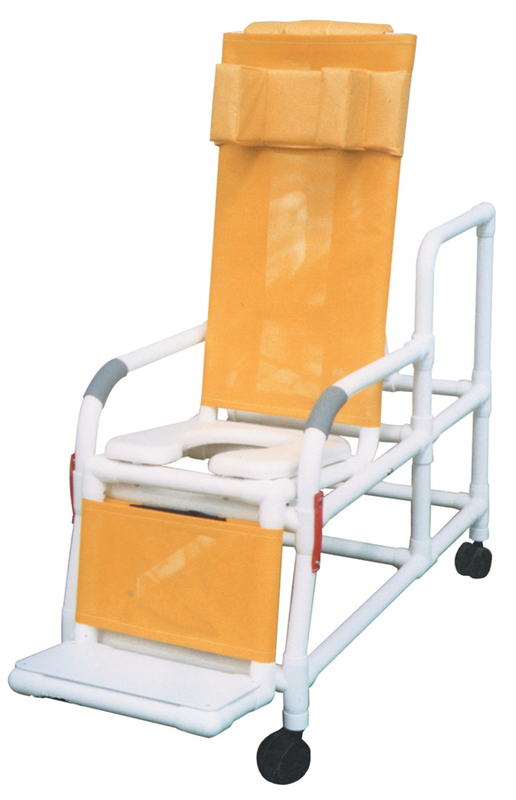 Open seats may be used as commodes. State mesh color when ordering.